Tonight is an exciting kick off event for us! 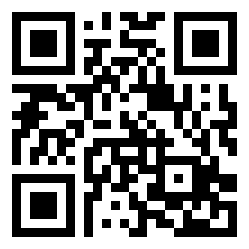 On October 5th and 6th, 2011, the Calgary Science School is hosting the Forging Connections Conference. 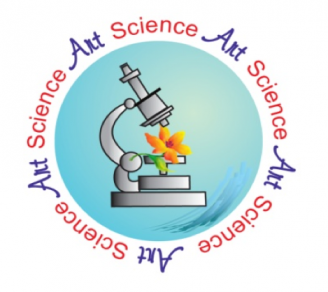 This conference is a collaboration between teachers, art and science experts and parents with the goal of integrating art and science more authentically into the students’ learning. It will also provide professional development for the teachers. We believe that one of the key elements of inquiry based learning is designing student work with an authentic and purposeful audience in mind. 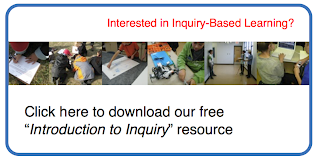 It's a key piece of the inquiry rubric that we use to guide our understanding of effective inquiry-based learning. We are continually trying to find places where student work can live beyond just the teacher's desk, including submitting work to film festivals, posting student videos online, providing opportunities for students to share their ideas with Faculty of Education professors, and creating online museums of student work. 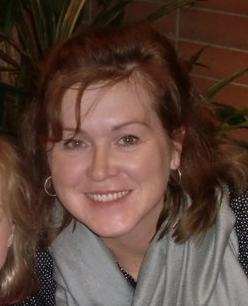 One of the goals in our AISI Cycle 4 work at the Calgary Science School is that “teachers will find and develop student exemplars that demonstrate the expectations of the program while considering and then clarifying the standards and scope and sequence of the graded programs” (CSS AISI Report). However, when we pulled teachers together to work with some homegrown student writing exemplars (grades 4 to 9) at a professional development day (2010), with the intention of grading these using a common rubric, some interesting observations came up in conversation. We later made similar discoveries in a second professional development day where we examined some student IMovies (grades 4 to 9) with the same intention of grading them, but while looking at them first holistically, then normatively, and finally with criteria-referenced rubrics (2011). What we found in both professional development sessions with both types of learning outcomes was that by actually participating in the matter of exemplars, things were not quite as straightforward as we had expected. A series of questions emerged as we entered each phase of our professional development work together. What we first noticed in both professional development days with student exemplars as our full staff focus was that we had some difficulty finding exemplars from our teachers representing “poor”, “satisfactory” and “very good” work. Teachers have a tendency to save the “very good” examples of their student work, and lose the other examples along the way. In fact, teachers often save only their very “outstanding” examples of students’ work. What we are learning is that students often respond positively to being able to see the varying standards of product and performance (insufficient, poor, limited, satisfactory, proficient and excellent). They often identify with a specific exemplar standard and can then strive to achieve or exceed it. By only providing examples of excellence, there is not always a way for students to see the discreet ladder of success that they must climb to get to the target of defining their work as exceptional at their grade level. We also found that sometimes the student exemplars that we did save were far above what the provincial grade level expectations would need to be for that type of assignment. When we looked at all of the student exemplars as a full staff (which also served as an informal exercise in cross-graded and curricular scope and sequencing), we found some discrepancies in what we were expecting from our students. For example, with certain Grade 5 IMovies, when students were given numerous hours and opportunities to complete a representation of their curricular understanding, the work far exceeded what might have been a reasonable curricular expectation of a Grade 5 student. In fact, in some cases, a few of the IMovies resembled something of a Grade 7 or 8 standard. We then asked ourselves: Is it then fair to hold this Grade 7 standard up as a model of a Grade 5 achievement of “excellence”? Or, would it be better to suggest that this (above grade level exemplar) is what might be achieved with an exceptional amount of time and dedication, but here (grade level) is a more reasonably targeted grade level exemplar to share with students? The question then became: How much time do we give to students to complete an assignment or project to demonstrate core understandings and competencies in a subject area? If we hold exemplars up from projects to students, where an exceeding amount of time is given for an assignment, (and in some cases, we determined, too much time) do these models serve as accurate targets for students to achieve in a reasonable length of time, on their own, with a normal amount of teacher and parental support? What we determined in our post-activity discussion was that in some cases the form of representation media or technology was superfluous to the curriculum expectations. These projects did not help students to develop knowledge or even enrich the experience. Instead, it was a time-filler or an exercise in mastery that took multiple hours away from learning other valuable curriculum outcomes in their programs. We concluded that assignments, and in particular, larger projects, require careful attention by teachers to be sure that they support, are relevant and align with the curriculum outcomes. Otherwise, these end products became exemplars of work that might precipitate future assignments of the same type that are not necessarily valuable to the program. 1) What are the curriculum outcomes that these types of assignments will demonstrate? 2) What will be the criteria by which we assess these outcomes? 3) How will we communicate and collaborate with students about the language of the curriculum and representational media/technology (ICT) outcomes (and other integrated curricula)? 4) What varying exemplars (varying standards of success) will we use to help promote students to identify and then attempt to rise higher on their own ladders of academic success? 5) How will we update our exemplars in light of ongoing student collaboration in any given project? We all agreed that using student exemplars is a powerful way of holding up learning targets to assist students to better understand how to represent their understanding in various forms; however, when not thought-through, exemplars have the potential to mislead, and misrepresent how students should best learn their school programs. Therefore, we endeavor, as a teaching staff, to begin harvesting more student exemplars that consider very carefully these fundamental questions about the use of exemplars in our programs. One of the ways that we have seen technology have a significant impact on student learning is around assessment. Here at CSS we have seen many examples where technology has empowered students to demonstrate their understanding in different ways - enabling students to show what they know in better ways than traditional pencil and paper formats. One of our new initiatives this year is a Fine Arts Integration Program with our grades 4, 5 and 6students. The purpose of this initiative is to deepen the collaboration between our Fine Arts program and the core subject areas. 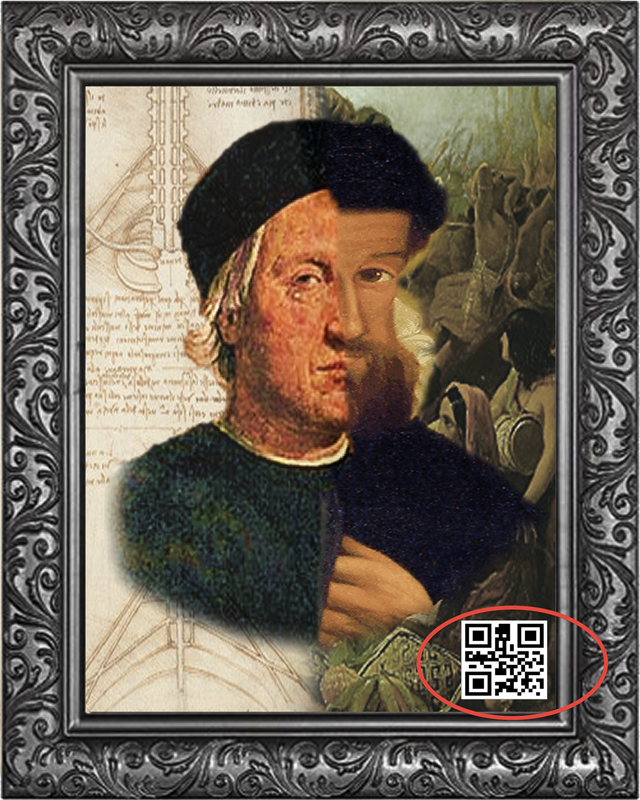 Click here to read more about our upcoming art/science integration conference. As part of this new initiative, a Fraction Art project was created in collaboration between a visual arts specialist and a math/science specialist. 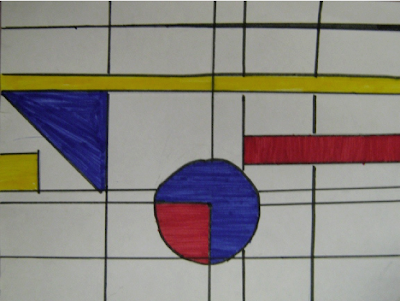 In math, Grade 5 students had completed most of the fraction unit when this project was introduced. 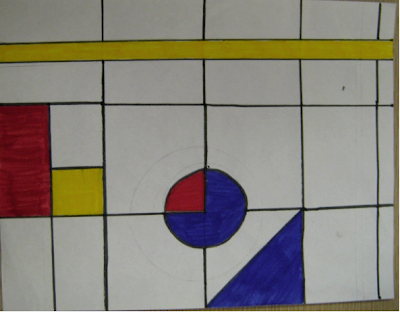 The project is based on the artwork of Piet Mondrian, who often used a grid of horizontal and vertical lines, filled in with primary colors. 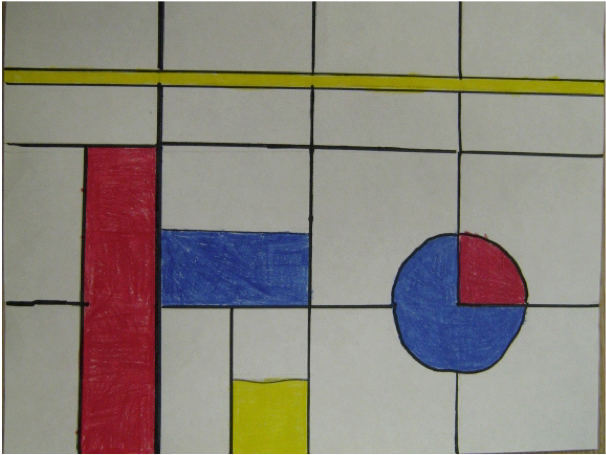 In order to create their own "Mondrian" type pieces of art, students followed a general set of instructions, which were written in fractional terms for the whole area of one piece of paper. All students followed the same set of directions and then compared their creations with peers. An exemplar of the project was shown to students prior to beginning their own artwork. Representing, identifying, naming and creating fractions using a region model. Visually creating equivalent fractions: Students were challenged to find interesting ways to represent the fractions. For example, some students used long skinny rectangles, instead of one folded square to represent one twelfth. Division with fractions: Papers were folded into 12 equal sections, which then had to be changed into smaller equal pieces for more complex directions. For example, to break the paper into twenty-fourths, students decided they could split each section (twelfth) into 2 equal sections, creating twenty-fourths. The initial folding of the paper into twelfths was chosen because it allowed a variety of fractions to be represented within the folds of the paper (e.g. thirds, fourths, sixths, etc.). The directions can also be easily adapted to allow for different types of folds. 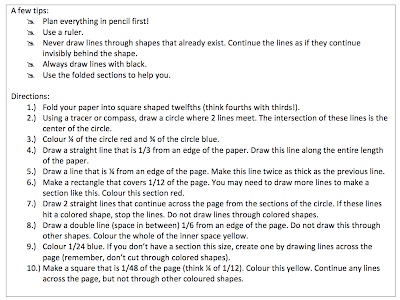 As an extension to the project, students were asked to create their own artwork, which they then had to write fractional directions for (similar to the original project). This book study has been an enjoyable experience for us - and we plan on running another in the Fall. Thanks so much to all our previous bloggers!